James Roday, who plays Gary, took some time out to talk about his character with Jennifer Matarese. NEW YORK -- If you haven't seen ABC's newest powerhouse drama A Million Little Things, there is still time to catch up. James Roday, who plays Gary, took some time out to talk about his character and storyline on the show. Along with one of his best friends dying from suicide, he's coping with the fact that he's in remission from breast cancer. He's constantly living with the reality that it could come back, and with the fact that it's more commonly diagnosed in women. "I thought it was important to shine a light on a struggle that we haven't seen a lot of, and to hopefully sort of reach out and to let these men know that they are very much not alone and that we appreciate them and see them, and we know that their struggle is every bit as real even though it can sometimes be stigmatized and somewhat alienating," Roday said. Still, he met his love interest Maggie (Allison Miller) at a breast cancer support group meeting. She's mysterious to say the least. "She definitely has a pretty specific history and it's coming your way pretty soon," Roday said. 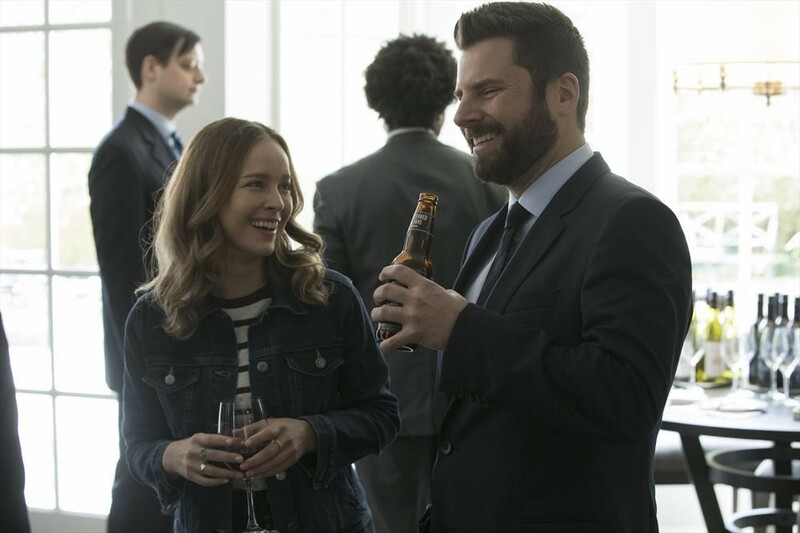 The series starts in a very dark place, but Roday says that just like in life, the grief and dark cloud begins to lift. "There will be a lot of happy moments," Roday said. "A lot of understanding along the way. That I can promise." This week's episode is called "Band of Dads," which is what the group of friends tries to become for Jon's (Ron Livingston) children. "You've got three guys who are very different and while one guy might be good at this, another is good at the other, and if you put them all together hopefully they add up to one halfway decent father for these two kids," Roday said. Don't miss A Million Little Things Wednesdays at 10 p.m. ET|9 p.m. CT on ABC.